STOCKHOLM, Sweden, Oct 12 2018 (IPS) - Our food system requires fundamental transformation. Disasters and shocks, from extreme flooding to persistent drought, are occurring more frequently and lasting longer, threatening the food security and livelihoods of millions of small farmers across the globe. Diets are shifting towards less diverse and less nutritious food, as populations become increasingly urban. The resource base that agriculture relies on is dwindling, and carbon emissions and land use associated with the sector need to be kept in check. In 2017, 124 million people faced crisis food in security across 51 countries, an increase of 16 million from 2016 (FSIN 2018). Neither business as usual, nor change as usual will deliver the transformation necessary to scale and secure people’s wellbeing and ensure our planet stays within a safe operating space. These issues are interconnected. Therefore, only systemic solutions that address the food system as a whole will be sustainable. What are some of the bold changes we can make to transform the food system in Asia and Africa? The Global Resilience Partnership (GRP) has been working with innovators for the last three years to boost the resilience of the millions of smallholder farmers in these regions that not only rely on agriculture for their own food security and livelihoods, but form the foundation of our food supply worldwide. GRP is working with the International Food Policy Research Institute (IFPRI) in Machakos County in Kenya to provide improved access to financial services for smallholder farmers without access to banking. According to the Mastercard Foundation, only 1 per cent of bank lending in sub-Saharan Africa is allocated towards the agricultural sector, despite providing around 20% of GDP and more that 60% employment. This is because farmers are seen as risky investments, and rarely have the collateral needed to take out a loan. IFPRI has devised a novel financial product which helps manage this risk. Their “Risk Contingent Credit” (RCC) product is linked to rainfall. Loans are given to farmers in the form inputs. Farmers receive seeds, fertilizer and pesticides – enough to grow an acre of maize. They are trained in insurance policies by project partners Equity Bank, and in best agricultural practices. In the event of weather-related crop failure, the Risk-Contingent Credit covers repayments on a farmer’s loan. The payments are triggered when a pre-determined threshold for rainfall is met. This financing system acts as a social safety net, allowing farmers to persist through poor harvests. It also gives farmers confidence to invest in their farms. Though climate shocks will continue to affect farmers living in areas like Machakos, this new breed of insurance product can help them to transform their livelihoods into resilient businesses. Every year, farmers in the Philippines brace themselves for inevitable tropical cyclones and their devastating impact. Since 2013, it is estimated that 40 million coconut trees have been buffeted by storms and ravaged by pests. On top of this, replanted coconuts can take 20 years to reach full production. 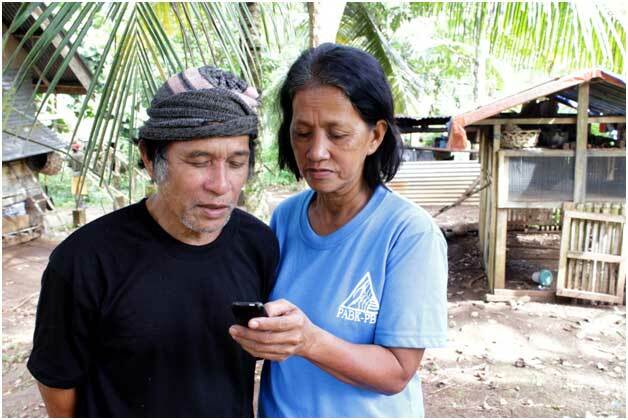 That is why GRP grantee Grameen Foundation launched FarmerLink, a mobile-based advisory service that compiles early warning weather data, agricultural training, financial services and stronger links with market buyers. It works in remote areas to ensure that farmers are connected, even when they’re offline. Field agents and local experts using the tool can collect farm specific, localised data to create bespoke development plans for farmers, helping to send detailed and targeted agronomic advice via SMS to farmers. The pilot provided agronomic advice to nearly 30,000 farmers. Agents, providing individualized plans and training to 1,525 farmers helped reduce losses associated with extreme weather events and volatile markets. Floods and cyclones are expected to become more frequent and extreme in the Philippines. With improved, accurate data made accessible via digital technology, farmers can offset the effects of climate risk on their crops and build sustainable, resilient livelihoods. Extreme weather, scarce natural resources and persistent poverty in regions where many of our agricultural commodities originate, all threaten our food supply. But holistic interventions like these, acknowledge and embrace the interconnectedness of these challenges and solutions will be our best bet to create a more resilient and food secure future for all.